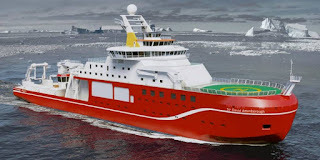 The Royal Research Ship (RRS) Sir David Attenborough is a polar research vessel to be constructed by Cammell Laird at its Birkenhead shipyard in Merseyside, UK, for Natural Environment Research Council (NERC). 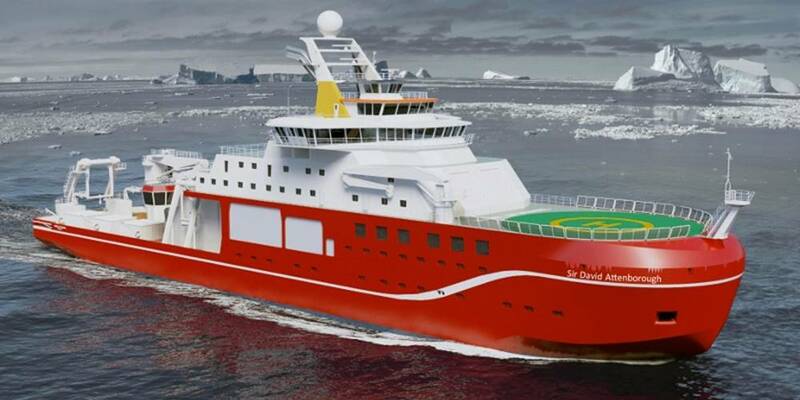 NERC's British Antarctic Survey (BAS) will operate the vessel. The project was announced in April 2014, the construction is expected to start in the third quarter of 2016, and the vessel is anticipated to start operations in the third quarter of 2019. "It forms part of a larger capital investment of £6.9bn earmarked by the UK Government for science, for a period up to 2021." RRS Sir David Attenborough will carry Lloyd's Register's class notations including +100A1, Polar Research Vessel +LMC, CAC1, LFPL, UMS, DP (AA), IBS, NAV1, PSMR*, ECO (BWT, GW, OW, P, NOx, SOx, IHM, R), Helicopter Landing Area, PC4, Winterisation D (-40), H (-40), S(C), and IWS. In addition to serving as a research vessel, it will also supply the five UK research stations in the Antarctic, operated by NERC's British Antarctic Survey, with cargo and research equipment. Thanks for sharing this article here about Ship Technology. Your article is very informative and useful for me because I was little confused about this. Keep sharing this type of article here. GM International is one the best freight forwarder company in Miami that uses the latest technology ships for the container shipping.